Calling all brunch lovers… I’ve got “the” cocktail recipe for you. Of course I’m talking about a mimosa. It’s part breakfast and part happy hour all combined into one snazzy drink. Happy New Year everyone! Here’s to a fantastic 2017! 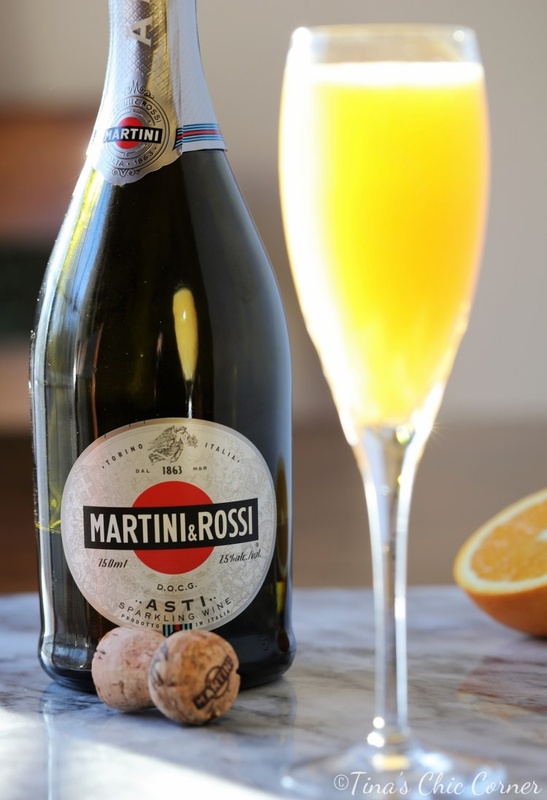 I started the new year with a mimosa (and a fantastic breakfast coming later this week to the blog). My husband and I spent a cozy night at home for new year’s eve and we had some champagne leftover. We had orange juice handy too. Champagne… orange juice… do you see where this is going? 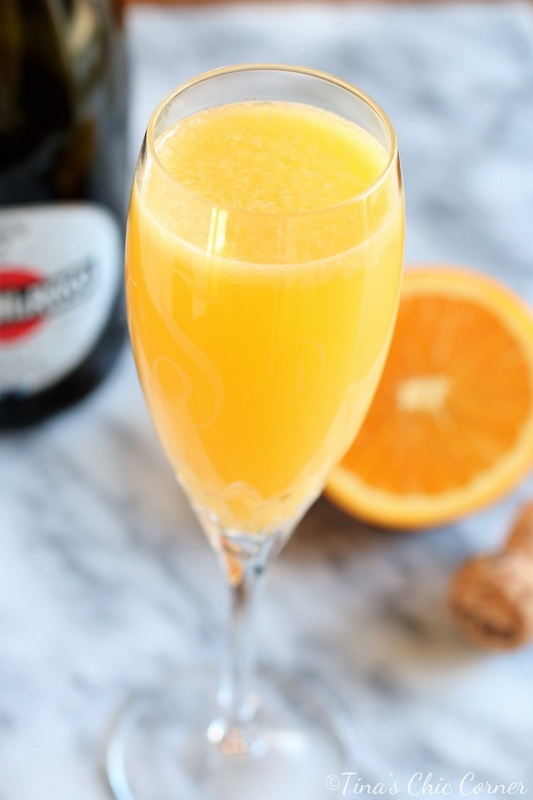 A mimosa is the easiest cocktail to make. In fact, it’s so easy that I initially had no intention of posting about it because I assumed that everyone knows how to make one. But when I went to make my mimosa I realized that I wasn’t sure how to make it. Funny that. I asked my husband if there was a specific recipe and he assured me that the proportions of champagne to orange juice didn’t really matter. He is right. If you want more champagne flavor then add more champagne to your glass. If you want more citrus (and only an essence of booze) then add less champagne. No pressure, no problem. Okay fellow food bloggers, I have a serious question here. It’s not related to drinking, but it can still be fun. Do you use a macro lens? My husband took the picture above and one below with his camera and macro lens (along with a few other shots not shown here) and I’m super impressed with the photos. Now I’m seriously considering whether or not I should buy a macro lens. Pour the champagne into the glass then pour the orange juice into the glass.